Comments: Ex-library book with usual markings. Good Condition. Has a hinge crack. Has a small amount of writing. Five star seller - Buy with confidence! 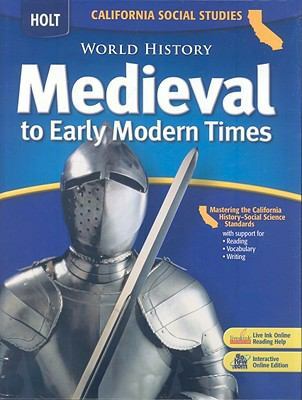 Burstein, Stanley M. is the author of 'World History Medieval to Early Modern Times: California Social Studies', published 2006 under ISBN 9780030733994 and ISBN 0030733995. Loading marketplace prices 554 copies from $5.19 How does the rental process work?